Today we are going to cross the Judean Desert from west to east, and of course each one of u will be entitle to wear the very famous medal I cross The Judean Desert. We r going to cross The Judean Desert with 4WD cars in a safari style. The Judean desert is a Rain shadow desert created by the Judean Mountains a range of less then 100 kilometers long from Jerusalem to Hebron. Judean Desert is also known as The Desert of Jerusalem or The Desert of the Holly City”. About 90 km long 25 km wide the Judean desert is one of 34 geographical zones of Israel. Today we’ll cross the Judean desert in a Safri style, and experience a unique desert in the world mainly because its location between Jerusalem and the Dead Sea. On our way east on Hwy1 we can say good by to Jerusalem from Mt Olives, as well to see the fact that the eastern out skirt of Jerusalem is the Judean Desert. We also need to coordinate with the Israel Defense Forces as some of the territory is an army training area. Driving through the Judean Desert we shall see the Bedouin mainly from Jihalin tribe and learn more about their life style and the changes they r forced to do. 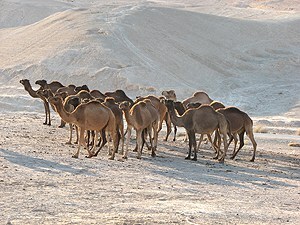 In our modern world the Bedouin maintain a life style that resemble to biblical time and have a special social behavior. Though they look tough and maybe not friendly they are command by their tradition to host and protect any traveler passing their territories if he knows how to behave. The human impact on the Judean Desert is so unique and start from the begging of time with the first town in the world Jericho and the famous Essenes that gave us the Dead Sea scrolls but the most beautiful sites we are going to see are 1500 years old time capsules the Byzantine monasteries. 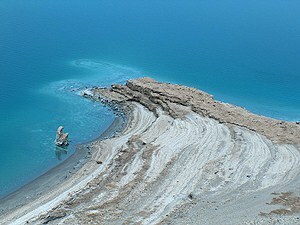 Only on a special request it is possible to visit Qumran where the Dead Sea scrolls where found, and Mineral Beach on the Dead Sea – no tour in Israel is full without floating on the Dead Sea the lowest place on earth . If you wish only desert it is possible to do a tour of 4 days in the Judean Desert without seeing any paved road.